Poulton Building Supplies is a trading name of Jack Poulton & Sons Ltd. Jack Poulton and Sons Ltd. are a family run firm based in Buntingford. 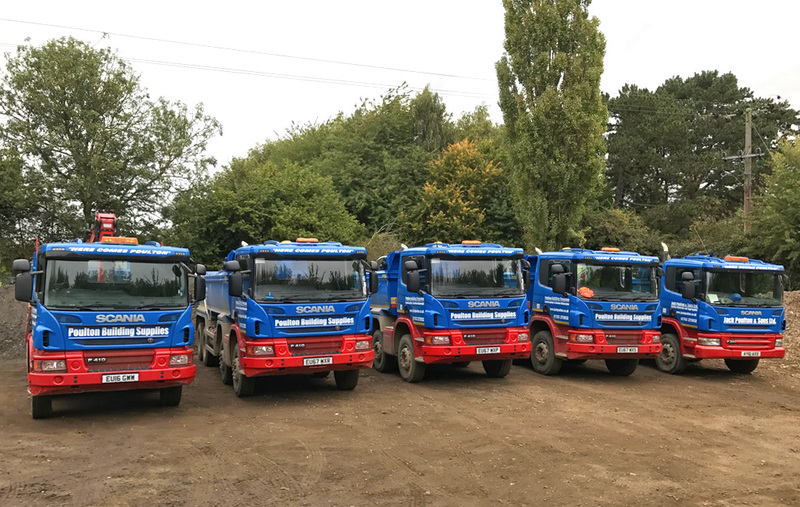 With our fleet of various sized tipper and grab vehicles we provide a professional, fast and efficient delivery service to the construction industry and domestic markets. We supply aggregates and building materials along with garden and landscaping products. We supply Hertfordshire, Cambridgeshire, Bedfordshire and Essex with a next day and where possible ‘same day’ delivery service.